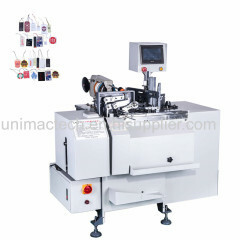 Automatic tag feeding, stringing, knot tying and counting at one time. It can completely solve the trouble from manual stringing and manual knot tying. It can adopts PLC control or button press. It is with high speed, stable running and easy to operate. 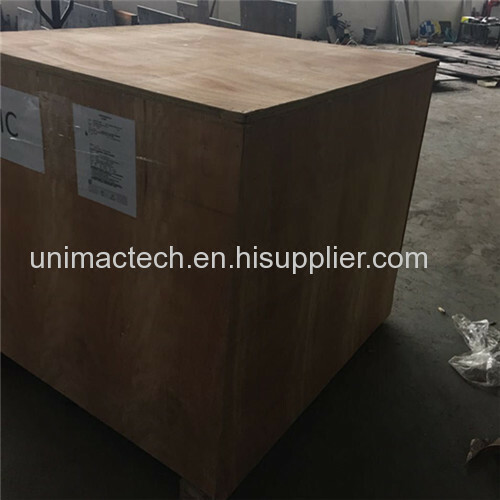 The products which made from this machine are perfect, uniform and good quality. 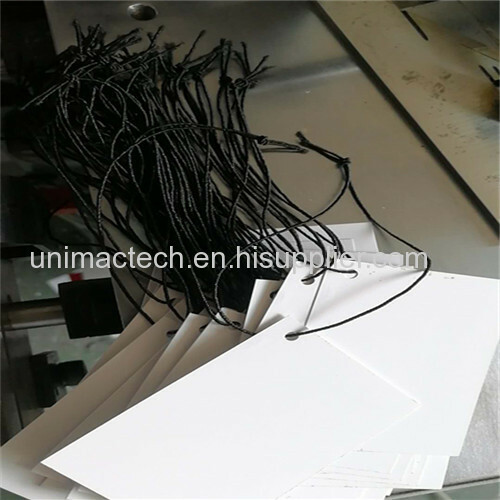 It is professional machine for producing hang tags and hand cards.